Crafting coffees and teas for your soul along with beautiful sweet and savory small bites made in house. Everything we ate here was absolutely amazing. We got pastries and coffee, but then when we sat down we saw one of their breakfast sandwiches and it looked insanely delicious. Everything that we ate and drank from this place was so delicious! I think it is a family business also which is a lot nicer than dealing with the corporate place down the street. I will definitely be a frequent customer at this lovely coffee house!! I've been here twice and plan to keep coming back! The coffee is wonderful and the desserts are yummy! The people behind the counter are friendly and personable. I highly recommend them if you are in the area! A lovely family run establishment that definitely cares about the ingredients they use. The father is a pastry chef who makes delicious new selections fresh every day. The selection changes frequently and they have gluten free options as well. The coffee stays consistent in offerings and in taste. The Honey Almond Latte was delicious and refreshing. They also have a wide variety of teas the Alpine Berry was naturally sweet enough to not need additional sweetener and tastes as good as it looked. Great addition to the neighborhood. I'm so glad I found this coffeehouse near where I live because there aren't many unique places for coffee in the Snellville/Lawrenceville area. It's small space but the coffee is definitely worth the search. I got the 12 oz. house coffee, and it was amazing. It had a toasty taste, which made it bold. My mother got a mocha, and she gulped it down quickly! I would definitely recommend the locals to come check this place out. Awesome experience. You will never receive that type of hospitality at Starbucks. Great place. Took my daughter there for a treat after school and we didn't want to leave. We both had banana bread. I had the honey almond latte and my daughter had hot chocolate. Delicious. This place has such a sweet sense of community! Everyone was so welcoming and nice. The service was impeccable and the tea and food were DELICIOUS! Can't wait to come back and make this place a regular stop in my week. I come to Beans & Butter at least once a week, I started out getting the vanilla latte every time I went, but I found out I am lactose intolerant I started getting the honey almond latte, and it is amazing you can taste the honey and it is so light but flavorful. I recently got the matcha, and they remembered my lactose intolerance and made it with almond milk for me. I feel so at home here, I bring all of my friends, and family. And they only have the best experience. I stopped in today for the first time and met the darling owner who was just precious and adorable. The decor is fabulous as is the menu and the service. I can't wait to go back and bring my friends. Thanks for opening such a beautiful, welcoming and gorgeous coffee house in our community! <3 I ordered the honey almond latte and the chocolate croissant and both were absolutely delicious. Love this place. They've made a regular of me, and greet me by name, as they do their other (many) local regulars. They're legitimately passionate about coffee. My first time there, they told me all about the Nicaraguan coffee I ordered - flavor details, etc. - and then brought me a free cup of a Guatemalan coffee, just because they wanted me to try it! Pastries and cakes are fresh and homemade, and they'll bring the coffee or snack to your table. Free wifi, and personable owners (a family-owned small, local business). The matcha latte is brilliant. 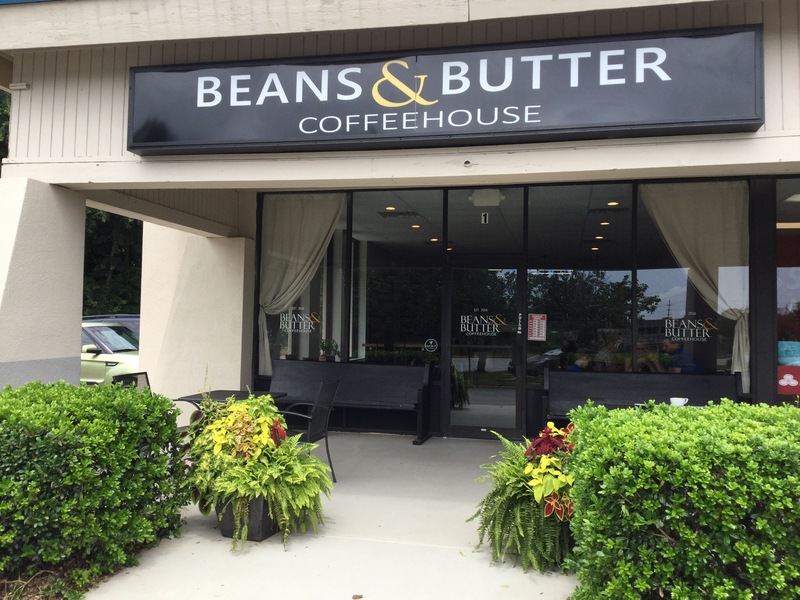 Beans & Butter is my new "remote office." The owners were so so kind!! The coffee was amazing, the perfect blend of sweet and bitter. The food is amazing... the best blueberry muffin I've ever had... and it's gluten free. Just amazing. This place is beyond amazing. I just had a vanilla latte that had real vanilla beans in it. I have never had a latte even close to as delicious as that anywhere, and we just went to Europe this summer, including Vienna. The pastries are made in house and are so good. The family that owns and runs this place is wonderful and friendly. I am so happy they are in my neighborhood!! They are going to get tired of seeing me.